Off day today and I was shop dating with Eileen today! 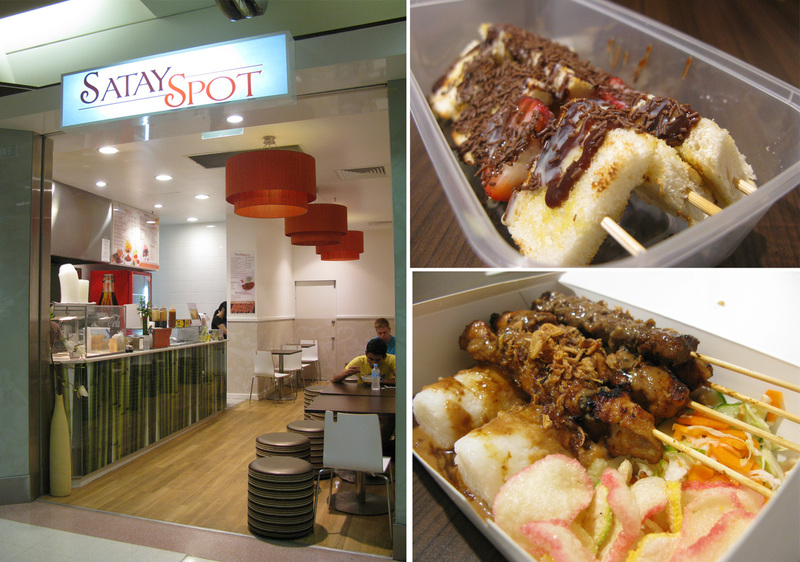 We met up at around 1pm, stomach growling (me) and I really wanted to try this sort of NEW place at Carillion city next to the food court called Satay Spot. Owned by Indonesian. It's quite a good spot though.. because Carillion City food court is always busy. Meal was quite cheap. For Small meal, 4 sticks of satay with cube rice, pickle veg and some crackers. (Corner bottom right) only cost 7 bucks. Full full. This is the menu if you are interested. 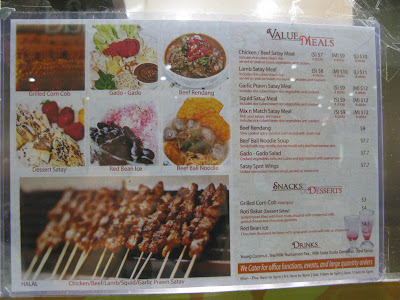 and I think there will be a Indonesian Food Bazaar in Bullcreek soon! After lunch, we start our shopping journey. Hunt for her clothes!!! We went to Myers, Valley girl, Dotti, Sportsgirl, Tempt, Portsman. Couldn't find anything that fits her nicely because she is freaking size 6. She was quite disappointed because she can't find anything after shopping for 2 hours. Then in the LAST MINUTE! We passed by this shop call Ally. They stocked like tons of clothes! Lots of different kinds of design and the price wasn't expensive too! We went in and got crazy looking for clothes! Finally she found her jacket for a reasonable price and looks nice on her too! She was soooo happy. Well, she got a top at Dotti too before that. So it's good! She is a happy bunny today for getting what she wanted! Then at around 4-5 ish, Joe finishes work, we went off separate ways. 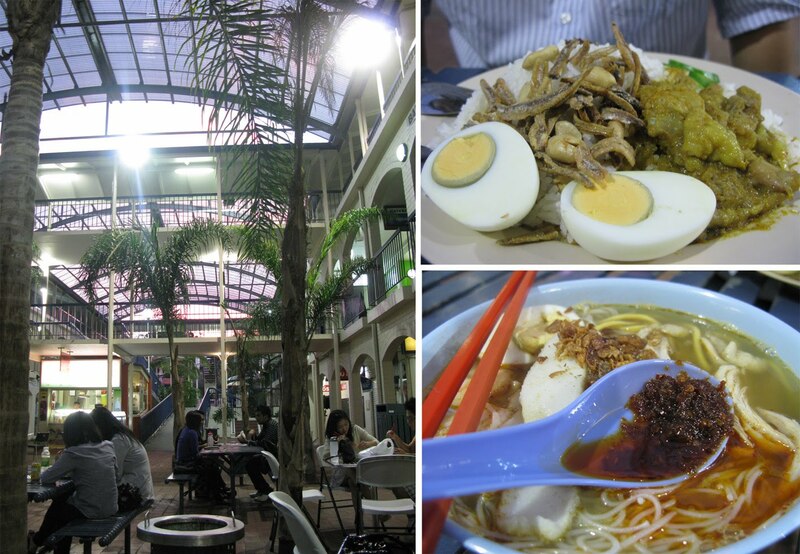 Eileen had to go home for dinner while Joe and I went to Broadway near UWA to have Malaysian chinese food. Joe misses that place a lot because he always had his lunch there when uni time. He loves the nasi lemak there. So he had one today and he was soooo satisfied. I had prawn noodle soup, it was tasty too! 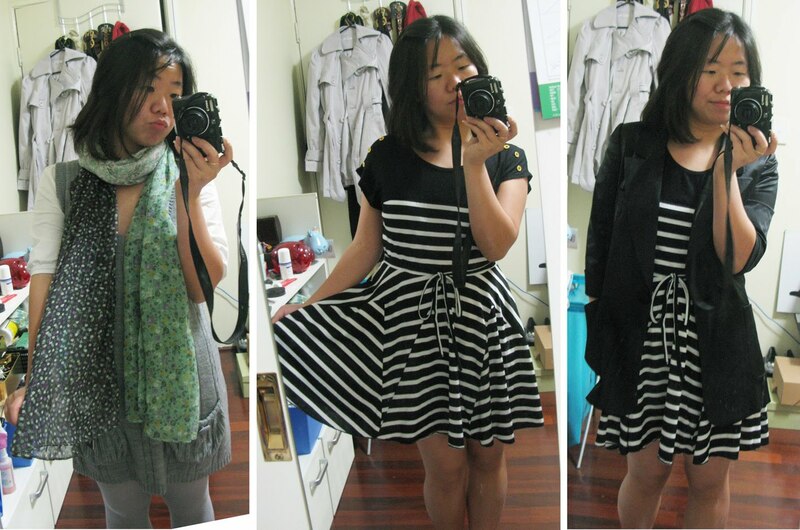 I got a 3 colour vintage looking scarf from Sportsgirl. Joe calls it aunty looking scarf. A black and white stripes dress from Ally. and A blazer that I wanted long long long time ago from Myers Kenji.